Tibet is an attractive place with so many charming styles. Whenever travelers pay a visit to Tibet, there is always something exciting for them to discover. 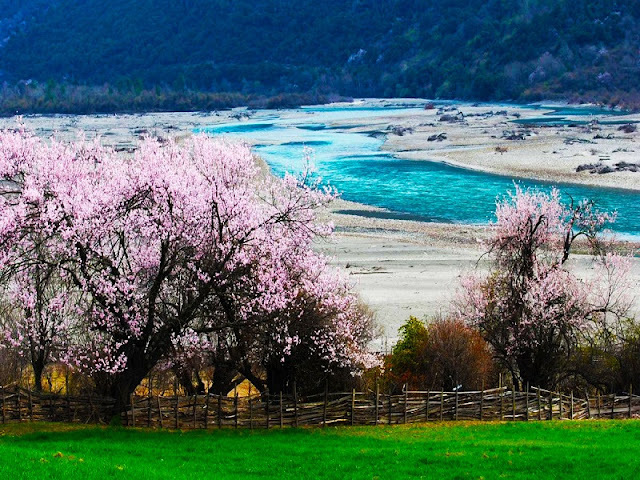 Visitors may feel uncertain about this mysterious land if they have never been to Tibet. They usually ask about the weather in Tibet or the schedule of the unique festivals in Tibet. Don’t worry, today we have found answers to these questions. Below is useful travel information about what to do in different months of the year in Tibet. Check it and find the most appealing things before starting your perfect trip to Tibet! 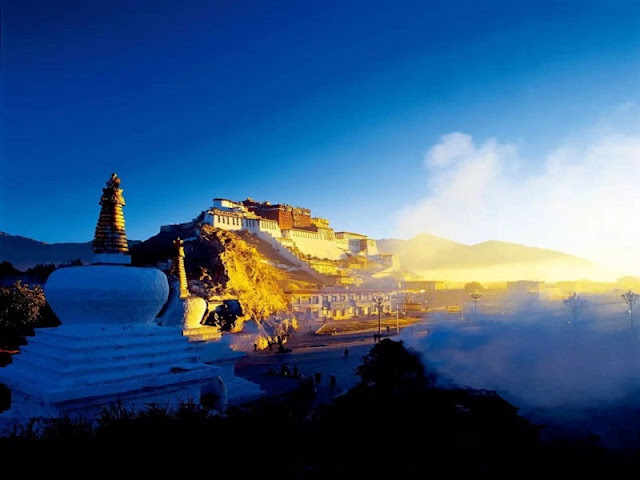 In January, visiting Tibet Lhasa city is a beautiful and peaceful place in the sunshine. You can enjoy the beauty of the ancient city without interruption in the off season. The average temperature in January there is about 7℃ in the day time. It seems a little cold but due to the dry weather in the winter and the high elevation there, it's also very warm when you walk in the sun. As one of the most important festivals in Tibet, Tibetan New Year usually comes in February. 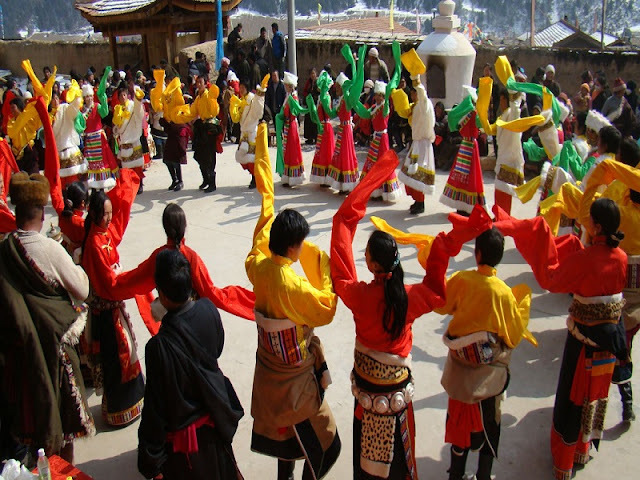 It's a good chance to feel the charm of Tibetan culture. Butter Lantern Festival is a good show of Tibetan Buddhism. It's also held in the same month. Hundreds of butter lanterns will be lighted on both sides of the Barkhor Street in Lhasa. It seems that these flames have given life to the statues of religious figures. With magnificent snow mountains and clear waters pass by, beautiful flowers are blooming all over the hills there in March. It's must be an unforgettable memory for you. It's a beautiful season when all things recovery in Tibet. Namtso lake which is a holy site for centuries has almost thawed and the deep-blue water will be more lively. Also, it's a good idea to have a Lhasa Everest Base Camp Tour. Although it's still a bit cold there, the fine weather provides a good condition to view Mount Everest in the light. If you want on an adventure at the highest land in the world, May is the perfect month to begin your journey. While the weather becomes warm and the rainy season is yet to come. Pack up all your outdoor gear and set out for the mountains! 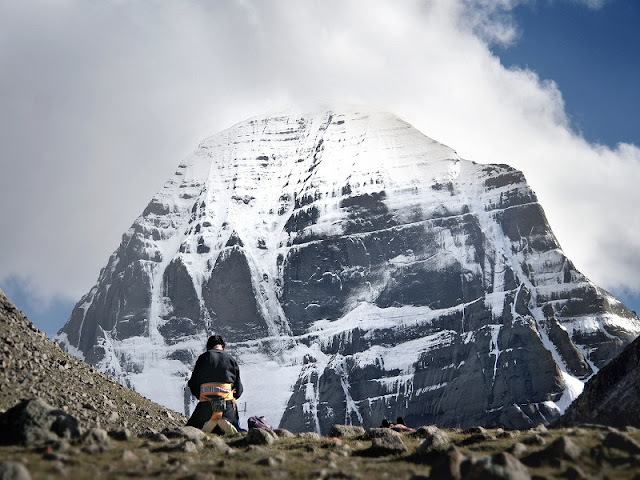 The best hiking trail is Mount Kailash trek which is one of the most challenging of treks for brave men. 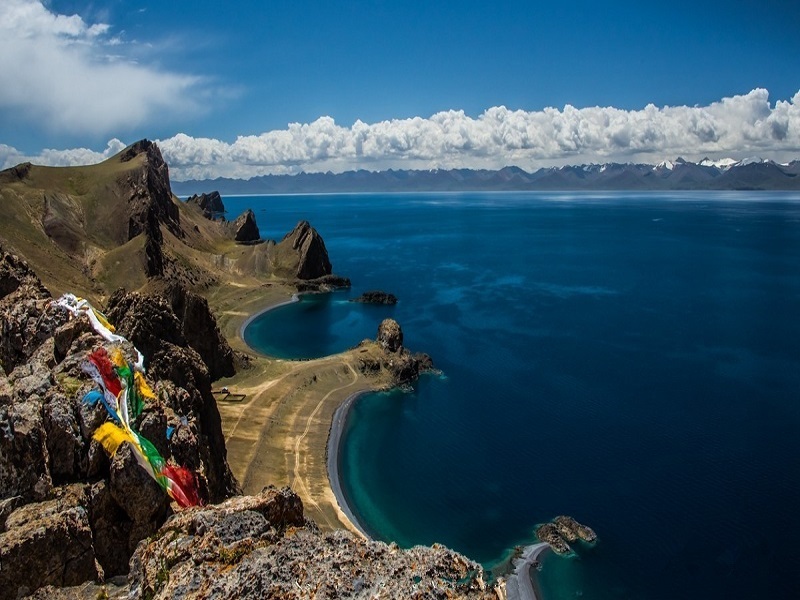 In the tour, you can enjoy the beautiful scenery of the holy Lake Manasarovar and Mt. Kailash. Also, you could visit some traditional Tibetan villages and old temples to get a better understanding of Tibetan cultures. As one of the grandest events in Tibet, the Linka festival usually held in the first half of June. It was originally in memory of Guru Rinpoche who beat down devils more than 1 thousand years ago. 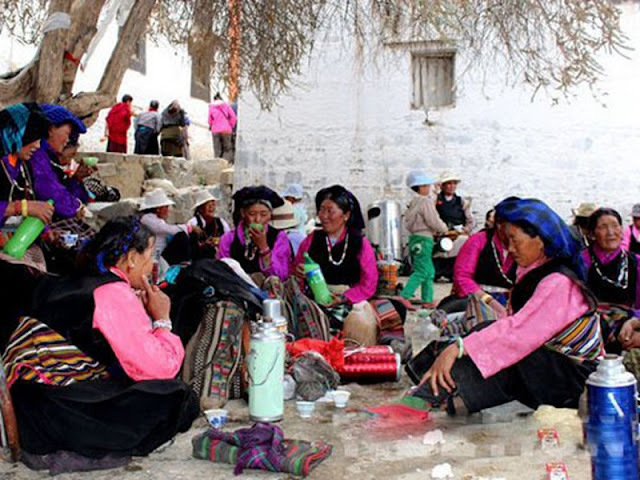 Today, Tibetans will have a picnic in the sunlight with their family and friends during the festival. You may touch by the huge crowds of people and the warm pictures of gathering there.